DeviceFidelity is partnering with Vincento Payment Solutions and MasterCard to bring its moneto NFC wallet service to the European market. Later this year, UK iPhone users will be able to sign up online to receive an iCaisse4X protective case that attaches to the iPhone to enable contactless payments. 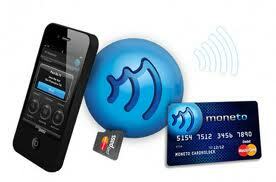 Moneto uses a prepaid MasterCard, which can be topped up from the customer’s bank account or credit card and used at some 500,000 retail locations worldwide, according to DeviceFidelity. Following the initial roll out, the service will be expanded to Android phones in the UK before reaching other European countries.